This recipe could have used a little bit more spices like Garlic Powder and Onion Powder or something, but it has a lot of potential! 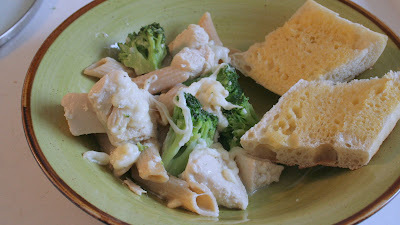 :-) As usual, I did things different from the recipe as far as cooking it. HEAT oven to 375ºF. 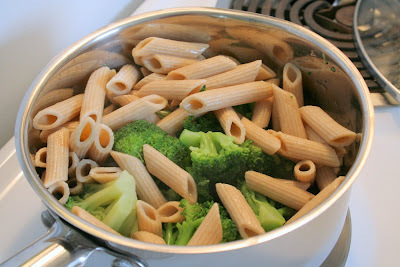 Cook pasta in large saucepan as directed on package, adding broccoli for the last 3 min. MEANWHILE, heat large nonstick skillet on medium-high heat. 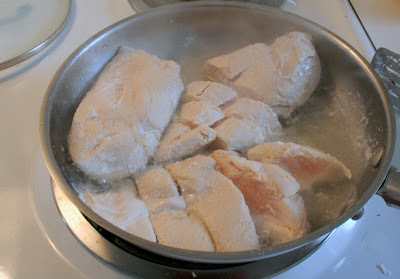 Add chicken; cook 3 min. or until no longer pink, stirring frequently. Stir in broth; simmer 3 min. or until chicken is done. 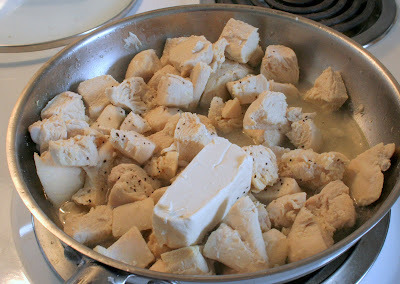 Add cream cheese; cook and stir on low heat 1 min. or until cream cheese is melted. Stir in 1/2 cup mozzarella. 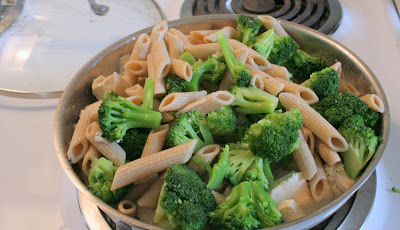 DRAIN pasta and broccoli. 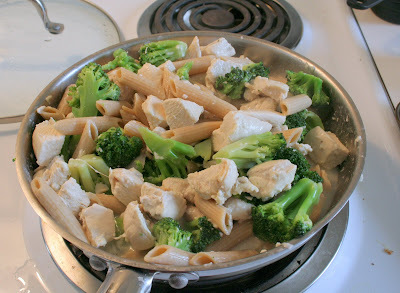 Add to chicken mixture; mix lightly. Spoon into 8-inch sq. baking dish; cover. BAKE 15 min. or until heated through. 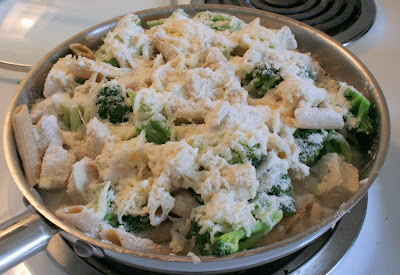 Sprinkle with remaining cheeses. Bake, uncovered, 3 min. or until melted. Let stand 5 min. 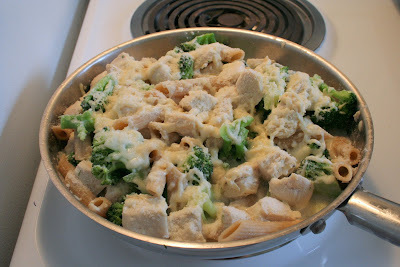 After the Cream Cheese has melted, mix in half of the grated Mozarella, and then add the Pasta and Broccoli. Top with Parmesan Cheese and the rest of the Mozarella. I just left it on the skillet at this point for another 10-15 minutes and I covered it with a lid instead of putting it in the oven.